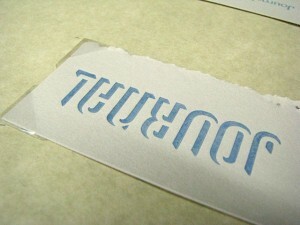 Usually I print on larger sizes of paper then cut down. Gives me room and nice clean edges. However, the paper I trim off just gets stacked into nice bookmark sized piles. 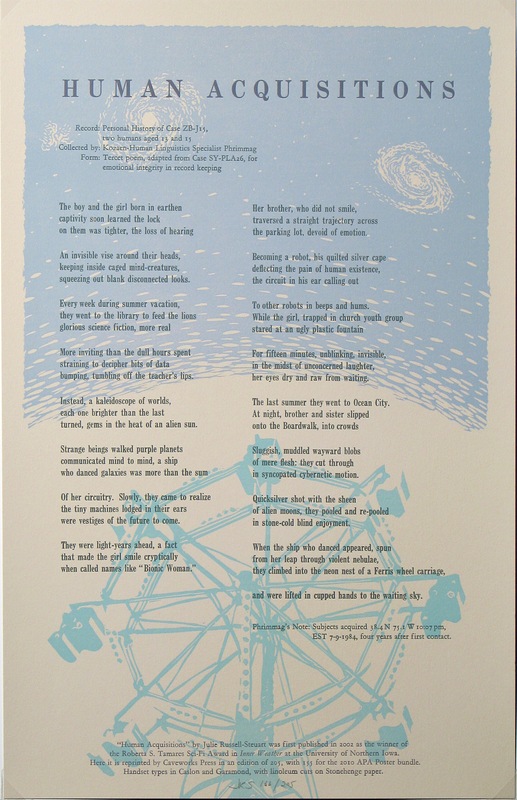 Perfectly good paper, even great paper, such as this nice gray Stonehenge paper that I used for the “Human Acquisitions” broadsides. Not wanting to let such soft, impressionable, receptive and fairly expensive material go to waste, I came up with a solution, or perhaps I remembered something I had read somewhere. Sometimes the lines blur a little. I needed to fix them to a drawsheet. I had used those clear plastic photo corners to mount prints or photographs, and they came to mind now. Double stick tape can work to an extent, but would pull away the fibers of the paper on the back, especially with the amount of pressure the cylinder exerts. I put corners up on the gripper edge and two more corners at the other end where the paper slips in. It worked very well to hold the paper snug to the cylinder, keeping it straight and on target to hit the type in the right place. The only glitch was when the grippers refused to release the paper without a lot of tugging. 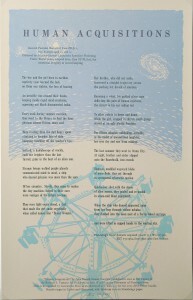 I finally accepted each print was going to be like pulling a piece of paper out of clenched teeth. I tested it with three normal sheets and had no problem. 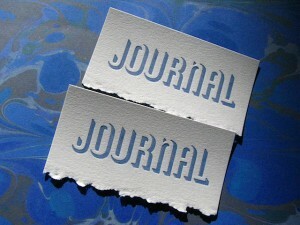 Here are the titles for the handmade journals that I’m planning on making. 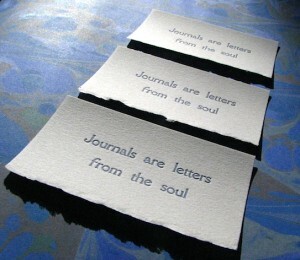 Typefaces: “Journal” is 24 pt ATF Shadow #859, and “Journals are letters from the soul” is 18 pt Della Robbia.